Susan Mary Fanning, born October 19, 1947 to John and Vincenzia Santoli in Hartford, Connecticut. Susan graduated from. Pulaski High School, and began a short career as a hair stylist. When her family decided to relocate to Phoenix, Arizona, Susan moved with them. She began a career in retail sales, and later on worked in the banking industry for twenty years retiring in early 2000. She met her husband John Fanning in Glendale, Arizona and spent the next 50 years together. They moved to Laramie Wyoming in 1977. Susan began her career at the Bank of Laramie, and moved to several different banks before retiring from the First Interstate Bank. Susan was a staunch supporter of the deaf children at the Cathedral Home for Children, and volunteers as a teacher of American Sign Language. She also supported and contributed to the Juvenile Diabetes Research Foundation. Susan passed from this life March 20, 2019 from natural causes. She is survived by a sister, Joan Santoli Edward’s (Rick) of Surprise Arizona. Her husband John, daughter Camille and Charissa and son John Ii, six grandchildren and numerous nieces and nephews. Services are scheduled for March 28, at 2:00 pm. Camino Del Sol Funeral and Cremation Center at 13738 West Camino Del Sol, Sun City West Arizona Cremation has taken place. Donations may be made to Juvenile Diabetes Research Foundation. 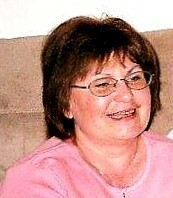 Please join Susan’s family in sharing memories, pictures or videos on her tribute wall at www.caminodelsol.com.